Dana Slosar (24), a Thai/American girl with sultry eyes and a face to remember caught my attention and grabbed my love during the opening preview. So I was very excited to find out she is now also an ést.lab brand ambassador! Let’s find out what’s her beauty secret and see what it takes to be a brand ambassador of ést.lab. Walk us through your beauty regimen. How do you take good care of your skin? My skin is on the more sensitive-side so I try to keep things pretty simple – Cleanse, tone, moisturize and sunscreen. I also use a serum every other day, and a mask once or twice a week to give my skin a little boost. Anyone who lives in South-East Asia, live in a tropical, humid climate. Because of the weather, our skin gets really dry or oily. What beauty product is a must have in your bag? Sunscreen, sunscreen, sunscreen! If I’m mostly indoors for the day, ést.lab SunShield is great and if I’m mostly outdoors – ést.lab Sunshield Aqua. Both have SPF50, the only difference is Sunshield Aqua is very lightweight and non-sticky, which is definitely what you want in hot and humid weather. What are some of your favourite ést.lab products? 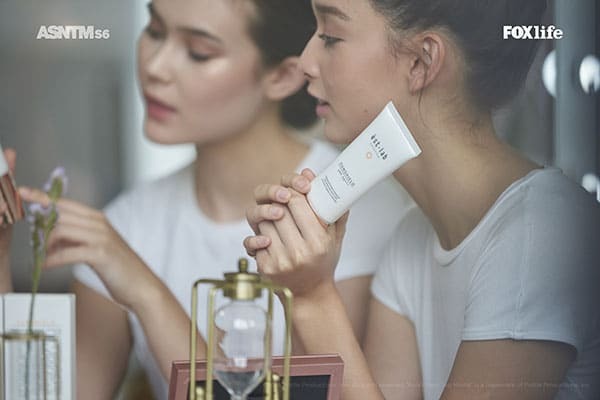 SunShield – It provides great sun protection, moisturization, and it has color matching technology, so it changes color to match my skin tone – this means I can still get some coverage on the days where I don’t feel like putting on any make-up (which is most days haha). 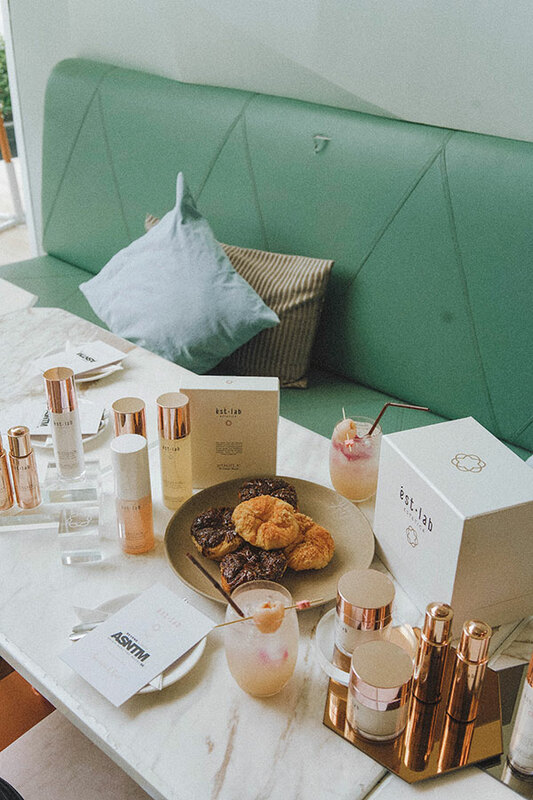 VitaLift A+ Brillage Face Mask – This mask is great when I have an important event or shoot, or if I just want to have a nice relaxing home-spa day. It gives me an instant glow and is super hydrating. The material is also very unique. It is made of a bio-cellulose material that fits skin perfectly and helps to maximize the absorption of the ingredients too.Activ Calm Gentle Cleansing Milk – I love this product because it easily removes all makeup, without aggravating my skin. Can you share with us some beauty tips and tricks you’ve picked up from Asia’s Next Top Model? A good skincare routine is incredibly important because there is only so much makeup can do/hide. For example, if you don’t take care of your skin and start breaking out, then makeup artists need to use even more makeup to cover up any blemishes, but then this could result in even more breakouts – the beginning of a vicious cycle that will probably damage your skin in the long run. 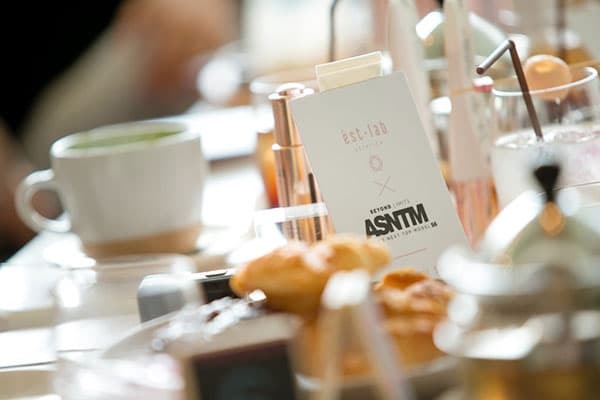 How has the AsNTM experience been like and how it has change your life? I came into this competition thinking that I would just learn a few tips and tricks regarding modelling, but I could not have been more wrong. I have definitely learned more about modelling, but also more about myself, friendship, competition, and my career goals and dreams. 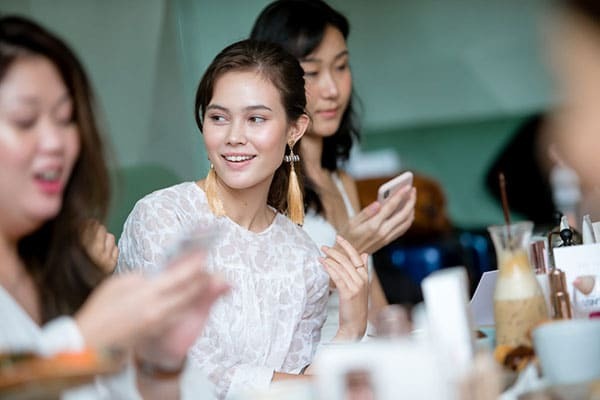 AsNTM has completely changed how I view myself and how I approach career opportunities/challenges – I feel much more confident and know to trust my intuition. What was the most surprising thing you’ve learned from being in the competition? Ignoring your insecurities doesn’t make them go away. At the start of the competition I wanted to seem confident so I tried to not think about some of the insecurities that I had and I always tried to act like they never affected me. Once I acknowledged them, I felt more genuinely confident and could become a better competitor – It’s cheesy but you can definitely turn your weaknesses into strengths. Any last wise words for aspiring models that are trying to get into the next season of AsNTM? If even a small part of you is thinking about joining – do it! And if you do get into the competition then be yourself and give it your all – it is such a unique experience and no matter the outcome, you will learn something and that is invaluable. Also, good luck!! There you have it, fresh off Asia’s Next Top Model Season 6, Episode 5, winner of the ést.lab challenge. ést.lab is now available regionally and you can get them online at https://estlab.shop/. Thank you so much ést.lab for this wonderful trip to Bangkok and here’s to more wonderful journeys together!